Ishiuchi Maruyma, the center exit, at the Restaurant KL 1F, Minami Uonuma city, Nigata pref. Welcome to our site, IPSS snowboard school! 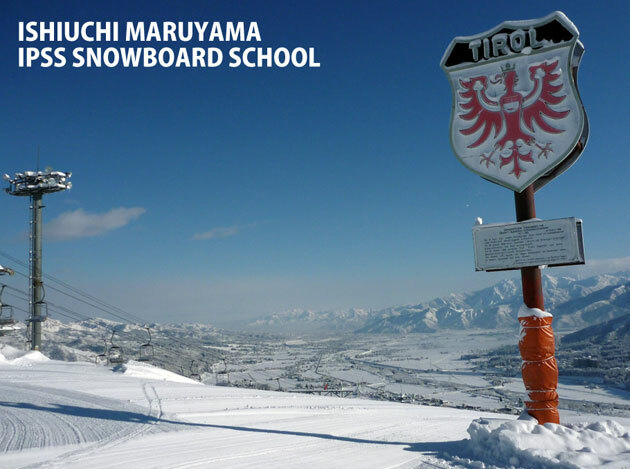 Let's have a fun with us at Ishiuchi Maruyama Ski Resort! Since we’ve started teaching, we’ve been trying to create fun, efficient and new style lesson for satisfying your need. Since we got lots of feedback from our guest, we roughly categorized several types of courses according to your snowboarding style, your skill and your schedule. ※ The reservation is required for morning lesson, sunset lesson and night lesson. ※ Please apply for the lesson 30 minutes before.